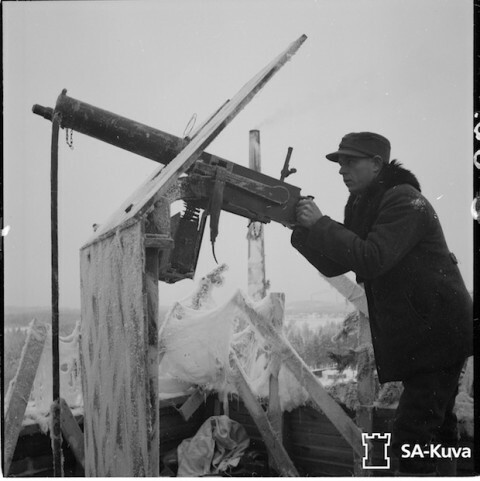 From the The Finnish Defence Forces comes the Finnish Wartime Photograph Archive, a collection of 160,000 photographs taken during World War II when Finland fought to free itself from Nazi Germany and the Soviet Union. Preserved in their original state, the pictures "portray life on the home front, ruins from bombings, the war industry and events that happened behind the front lines." As you can imagine, some of the photos can be disturbing. On a brighter note, let me add this. You can download each and every photo, and use them for educational purposes. The archive only asks that you give proper attribution by mentioning "SA-kuva" as the source. And, indeed, "SA-kuva" should be given credit for the image above. You can enter the complete archive here. “Finland fought to free itself from Nazi Germany and the Soviet Union” To be precise, most of the time in WW II Finland was an ally of Nazi Germany (1941-44), before it changed sides in 1944. Finland was a co- belligerent of Nazi Germany to be precise. Finland fought with Germany AGAINST the USSR but didn’t support the Nazi ideology…..
Finland starting out in the war being invaded by the Soviet Union, then an ally of Nazi Germany. The German invasion of the USSR made Finland an ally of Nazi Germany instead of the UK and France, through no fault of their own. It’s an embarrassing aspect of the war to everyone.